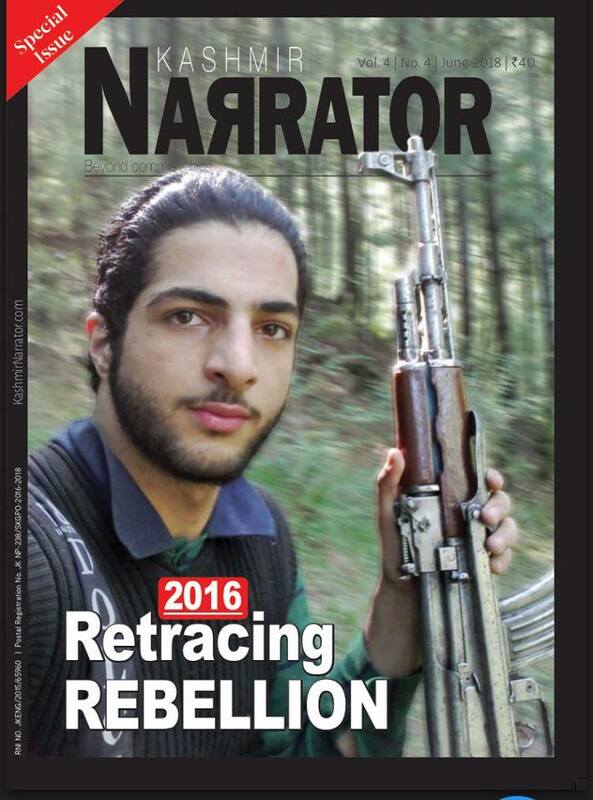 Polio-affected Tanvir Ahmad War of Drangbal, Baramulla is languishing in Srinagar’s Central Jail after police booked him under PSA. “How can a man, who is unable to walk two steps on his feet, be implicated in stone pelting cases and sent to jail under PSA,” Malik had said. “Compelling” Hurriyat leader Sheikh Aziz, who was killed in Army firing, to lead the Muzaffarabad ‘chalo’ march in 2008, is one among the other several charges leveled by police against War. Nearly 100 people were killed and thousands due to firing and widespread use of pellet guns by government forces as Kashmir witnessed shutdowns and curfew for months following the killing of Hizb commander Burhan Wani in an encounter on July 8, 2016. Police claimed that on one occasion, War with the help of his “gang” hijacked four tippers loaded with stones and got them unloaded on roads of old town Baramulla to block the roads to prevent police from acting against the miscreants. “Tanvir despite his disability has been making good use of his tricycle to travel and headed a gang of stone pelters who would help him in undertaking his antisocial activities,” the spokesman claimed. The spokesman claimed that the War has been continuously involved in “instigating and engineering violence” in Baramulla since 2008. “In 2008, he compelled and forced separatist leader Sheikh Aziz to lead the procession. The separatist leader on the advice of many stakeholders wanted to return back from Sheeri Baramulla to Srinagar. However, Tanvir, who was atop a truck, threatened him with dire consequences and told him that if he could march ahead with disabilities, what excuse the separatist leader had,” he said. Aziz was killed in forces firing as he led a march from Srinagar to north Kashmir to protest blockade of Kashmir by rightwing groups during the Amarnath land row in 2008. While quashing the detention of a Kashmiri youth under the Public Safety Act (PSA), Jammu and Kashmir High Court recently observed that preventive detention cannot be used as an “instrument to keep a person in perpetual custody without trial. According to Amnesty’s 2010 report ‘A Lawless Law: Detentions under the Public Safety Act,’ at least 10,000-20,000 people had been detained under PSA in Jammu and Kashmir. “The Indian state of Jammu and Kashmir is holding hundreds of people each year without charge or trial in order to ‘keep them out of circulation’… the Public Safety Act (PSA) is used to secure the long-term detention of individuals against whom there is insufficient evidence for a trial,” according to the Amnesty report. Over 500 people were detained under PSA following the July 8 killing of Hizb Mujahideen commander Burhan Wani last year, according to media reports.